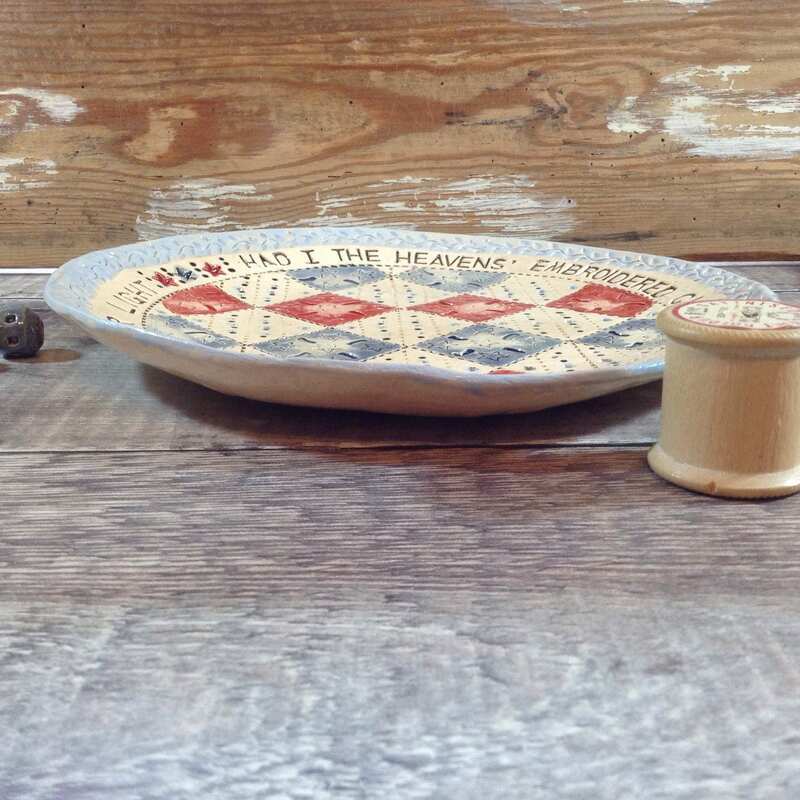 Listing is for this gorgeous handmade centre-piece featuring a simple patchwork squares design on its inner surface, in red and denim blue. 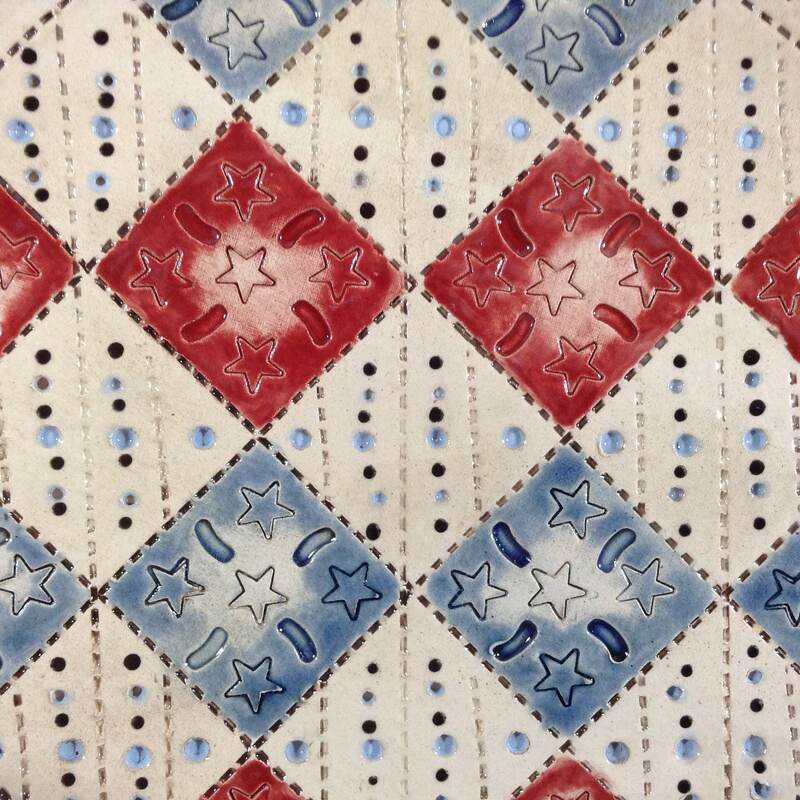 The surface of this piece is richly patterned, each square has flowers, stitchy lines and dots to add interest and texture, with a pattern of dots and stars, some areas having been 'rubbed back' to create a worn vintagey look. 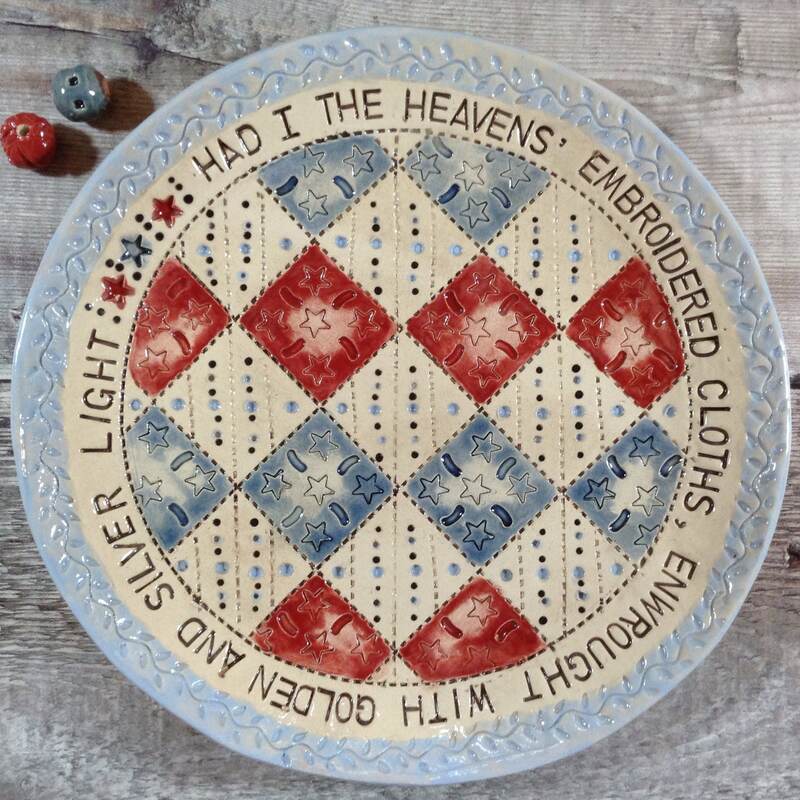 The wording around the border is from W.B.Yeats : "Had I the Heavens' embroidered cloths, enwrought with golden and silver light"
This is part of my series of decorative 'quilt-block' patterned bowls. 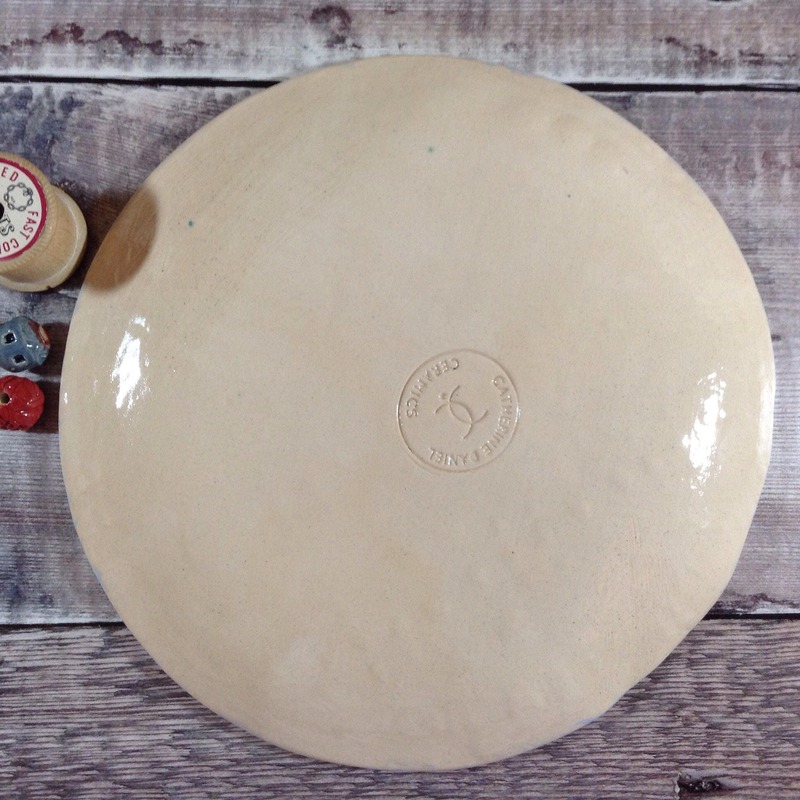 This one measures approximately 21 diameter and 3cm deep. A unique gift for quilters, but also for anyone who loves colour and pattern. I make the bowls from earthenware clay, imprinting the surface pattern by hand, to give a very textured finish. 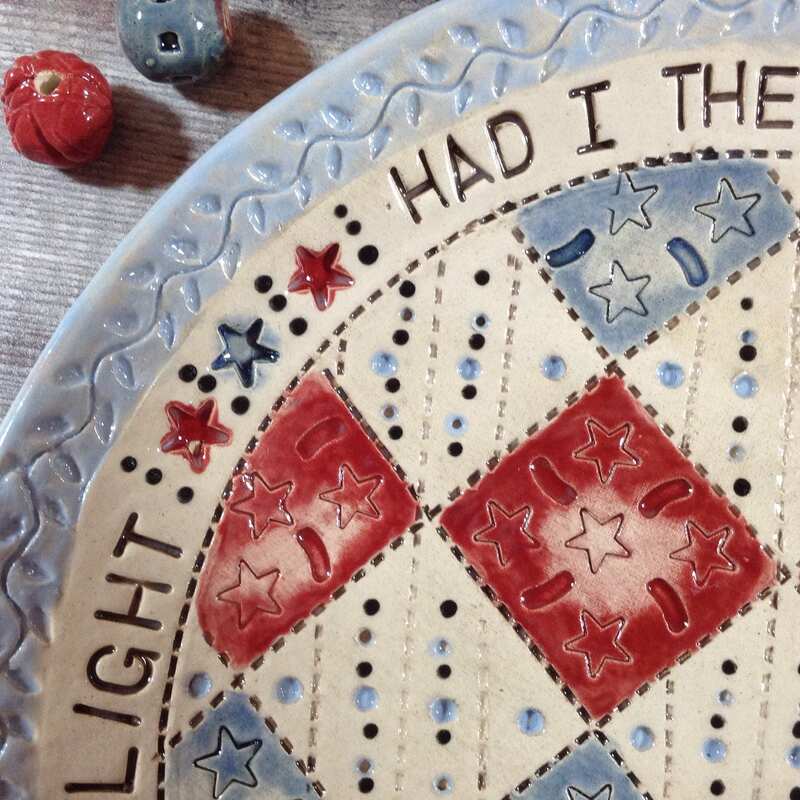 They are left to dry out for three or four days and then bisque-fired in my kiln to a temperature of 1000 degrees for 24 hours including cooling time. I then apply the colourful glazes and fire a second time to 1040 degrees.